This long awaited album came in a cloud of purple haze. Fans were hesitant to protest this album as a classic similar to the previous one. Classic albums are hard to come by and are built with a heavy hand on the repeat button. I spent a lot of time with this album. I stared at the cover, slept with it under my pillow, carried it in my car, read the inscriptions while eating my cereal. I wanted to give this album an honest rating based on the weight and quality of the content. Fans across the world wanted OB4CL2 to feel like OB4CL. 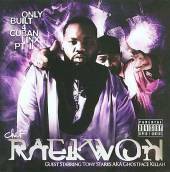 In all honesty there was no way Raekwon could build OB4CL2 the same as OB4CL. Times are different and his sound, mind, and spirit are different. Raekwon is a different person now and in a different place since he created OB4CL. The question remains, "Is the purple cd as great as the prequel OB4CL?" and I would answer, YES!! The purple cd is a great work of art and Raekwon made a great concerted effort to make good soup. There are guests like, Inspectah Deck, Method Man, RZA, Jadakiss, Styles P, Bienie Siegel, and Lyfe Jennings. Tony Starks again co-starring and almost got shot by his son with a cold Gihad. The lyrical jambalaya is hearty and a mouth full for anyone trying to follow along. There were times Raekwon's lungs blew like he was attached to an O-2 machine. When he started reminiscing about days when starter coats got jacked, 16 bars transformed to 32 bars and he did not take a breath. Other members of the WU slayed tracks and helped OB4CL2 become a main dish in Raekwon's cookbook. I couldn't stop singing, "When it is cold outside," because the soul in this dish touched my bones. The purple cd will definitely stay in heavy rotation for over six months. This cd is definitely composed with the chakra that is needed to create classic albums. I will keep sleeping with this one and if it is still in rotation and quotable after two years then I will have to claim it a classic Raekwon, Hip Hop album for me!! Thanks Chef for putting in work on this meal!! It is time for someone else to get fat and I will definitely keep bringing my plate to you as long as you got food! 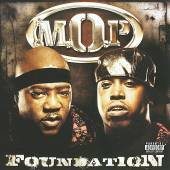 The buss a shot, kick down the door, punch you in the mouth, rip a track to shreds duo M.O.P is back. They get it in like a left, right combination from Floyd Mayweather and you can't tell when the knockout blow is coming. If you were expecting to hear M.O.P on national radio, too bad! Radio has not been hip since '85. Bill and Fame still blaze the airwaves with plutonium in their words! Musicjox got the protective gear because we need that toxic flow! They have some of the most heartfelt hooks that make their rhymes hit you so hard! I never been to New York but I saw the sky from 'Street Life'. Their music is felt in the hearts of the people living on the land. If you are not from around there beware because these bastards are rude and you will get cussed out! Foundation is another star on their uniforms. The album features guests like Styles P, DeMarco, Redman, Termanology, and Rell. These sharks eat all guppies in the water and stay riding thru the streets of Brooklyn. We Salute You! Keep Making that powder so the streets can keep loading their clips!! These super friends united to prove that it takes more than a video to make a good hip hop artist. Skills have to be on point in order to survive the cold storms of the corporate ice age. The beats banging from this camp grabs minds to fill the gaps in the tectonic plates found beneath our creative thoughts. Survival Skills are not for the robots, who pretend to know the sound, that stay on the run from the light of God. Rappers will need more than soap to clean the fake rhymes from their dirty mouths after listening to the 'Clean Up Crew'. Be careful if you were thinking about battling these emcees. Their powers are amazingly full of energy to destroy with one shot, and the Dirty Foot Philosopher walks the same path to master time. 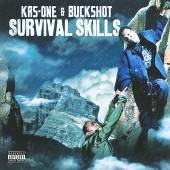 Survival Skills features Mary J Blige, Rock of Heltah Skeltah, Talib Kweli, Smif N Wesson, Immortal Technique, K'Naan, Pharoahe Monch, Sean Price, Loudmouf, Bounty Killer, Slug of Atmosphere, and Melanie Fiona & Naledge of Kidz in the Hall. Some heavy hitting producers like Havoc and of course 9th Wonder created beats for this project that kept KRS and Buck bouncing from break to break. Thanks KRS One and Buckshot for teaming up on this album to give us your sound and the latest world report! !